Acquiring a new Lincoln auto loan or pre-owned car financing from Pompano Lincoln in Florida is a journey in itself. Let our Finance Professionals lead the way. Acquiring a new Lincoln auto loan or pre-owned vehicle finance deal from Pompano Lincoln in Florida ‐ serving Pompano Beach ‐ is a journey in itself. Let our Finance Professionals lead the way.When the excitement of choosing your new or pre-owned Lincoln is bogged down by the thought of finance payments and lease jargon, you've chosen the wrong dealership. At Pompano Lincoln in Florida, our Finance Center professionals are specially trained to work with you on determining flexible payments that are outlined by a simple and personalized contract. Starting with our online loan calculator and finance application, we let you determine your eligibility and budget before you walk through our doors. Once you have the basics down, we'll walk you through lease and finance options, while matching you with our regular roster of incentives and offers. For added options, we offer Lincoln drivers two exclusive finance options, GAPCoverage and our Flex Buy Program. GAPCoverage is especially useful in the case of a lost, stolen, or totaled Lincoln. If there is a gap in the value of your insurance coverage, this option fills in the space by waiving the difference between the vehicle's current cash value and insurance coverage. * We also offer an enhanced option, GAPAdvantage. With the selection of this option, you will receive the same coverage as the primary GAP program, with the addition of a $1,000 down payment on your replacement vehicle at the originating dealer. For leased vehicles, basic GAPCoverage is built into your contract. Along with our GAP programs, we offer Flex Buy, which gives you the opportunity to make lower monthly payments for the initial duration of your contract. ** Typically, Flex Buy members agree to a 66 month schedule, where payments are lower for the first 36 months of the contract. This option makes payments easier, while also giving you ample time to prepare for the second portion of your Flex Buy period. For business owners, we also offer commercial financing deals for your company vehicles. 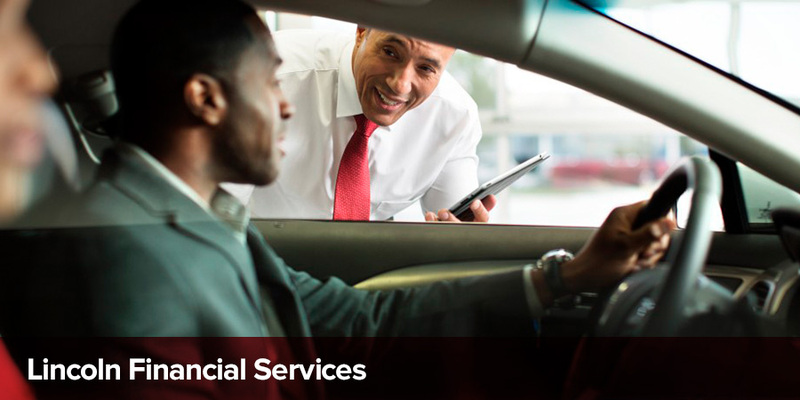 If your business relies on the power of a fleet, our Finance Professionals are available to walk you through our combined billing options for consolidated payment deals on multiple vehicles. Lincoln drivers are travelers who thrive on exploration onto unknown roads. Before you select your vehicle, exploring the avenues of ownership are an important first step in matching your lifestyle to payment options and contract specifics. No matter what you ultimately decide, feel confident during every step of the process with the guidance of our knowledgeable sales team and finance professionals. Open seven days per week with flexible hours, schedule an appointment at 888-828-4134 and together, we'll begin your journey.